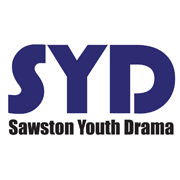 Sawston Youth Drama is the largest amateur musical theatre company in Cambridgeshire. 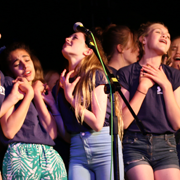 With nearly 150 members across 3 groups, SYD are committed to providing opportunities in musical theatre for young people, and keeping the community thoroughly entertained! SYD are also now a registered company, and a registered charity. 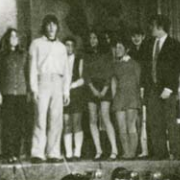 Since the first meeting of the group in 1968, SYD have worked to develop performance and social skills in young people, and put on major musical productions every year. Due to popular demand, we have split the group into age categories, meaning we now present at least 3 shows, to audiences of nearly 2 thousand, every single year. A lot of people put in an awful lot of time and effort to keep SYD running; there's a lot that goes on behind the scenes! The smell of the greasepaint, the roar of the crowd... and most importantly the smiles on the faces of our young people. Frankly, SYD is a whole lot of fun, and something we love doing!